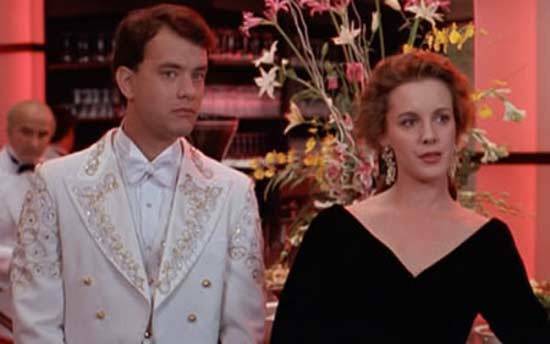 On June 3, 1988, the movie Big premiered, starring Tom Hanks, Elizabeth Perkins, and John Heard. The story followed a 12 year old boy who makes a wish to be “big” and lo-and-behold the wish comes true, and he finds himself navigating adult life. It has now been 30 years since the movie came into our lives, and it is still considered one of the all time greats. But no matter how many times you’ve seen it, there’s still a lot you may not know about this heartwarming classic. 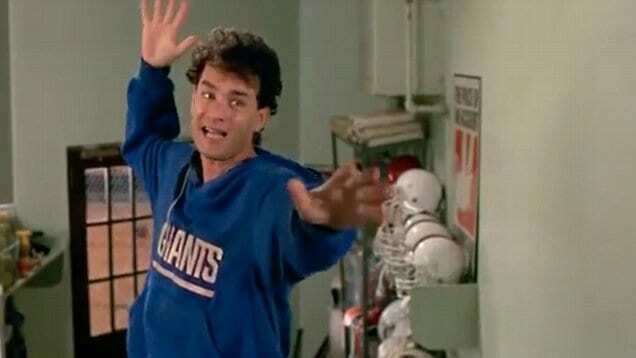 Tom Hanks played the “big” version of Josh Baskin. All Josh wanted was to be bigger, and he got his wish. However, he realizes that he should have been careful what he wished for. 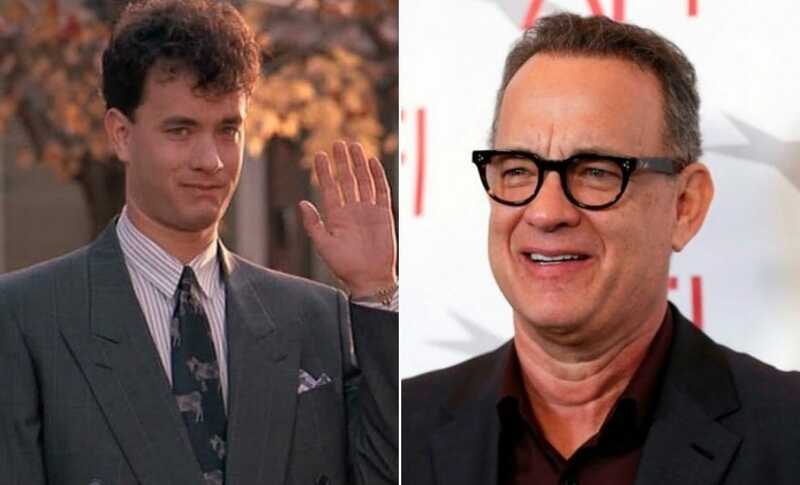 These days Tom Hanks is one of the biggest movies stars in Hollywood, playing some iconic roles in films such as Philadelphia, Forrest Gump, Apollo 13, Saving Private Ryan, Cast Away, The Davinci Code, and Captain Phillips. Hanks has been nominated at the Academy Awards for Best Actor five times, including for Big, and has won twice for Philadelphia and Forrest Gump. Next time you watch Big, be sure to be on the lookout for a cameo during the party scene. Remember when the boss is talking to someone named Miss Patterson in a red suit? 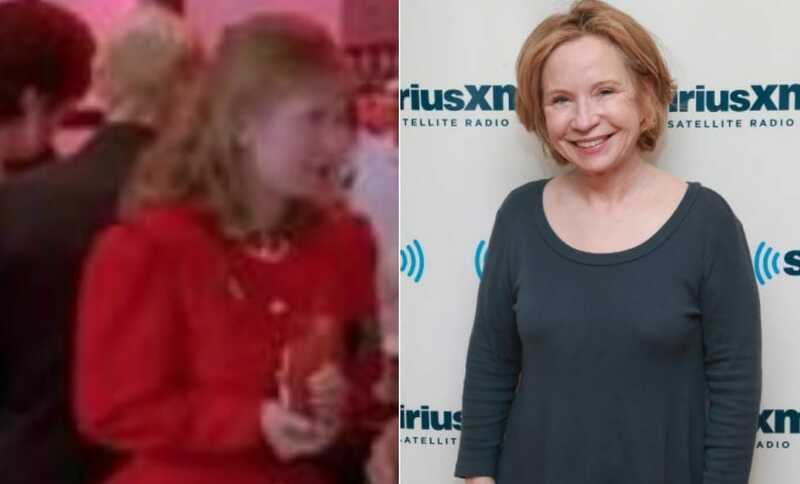 Well, believe it or not, that person was Debra Jo Rupp, best known for playing the hilarious Kitty Forman on That 70’s Show. Back in the ‘80s she was just starting out, and this was actually her first time on a big movie set. These days you can see her in shows like This is Us and The Ranch. 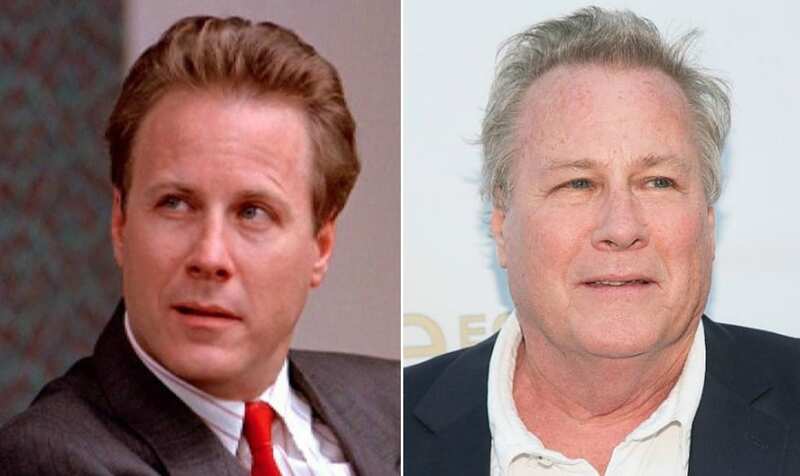 When big Josh Baskin heads to his new job he meets Paul Davenport, played by John Heard. Some like to joke that Paul exemplifies the classic ‘80s office jerk, and that description does seem to fit. 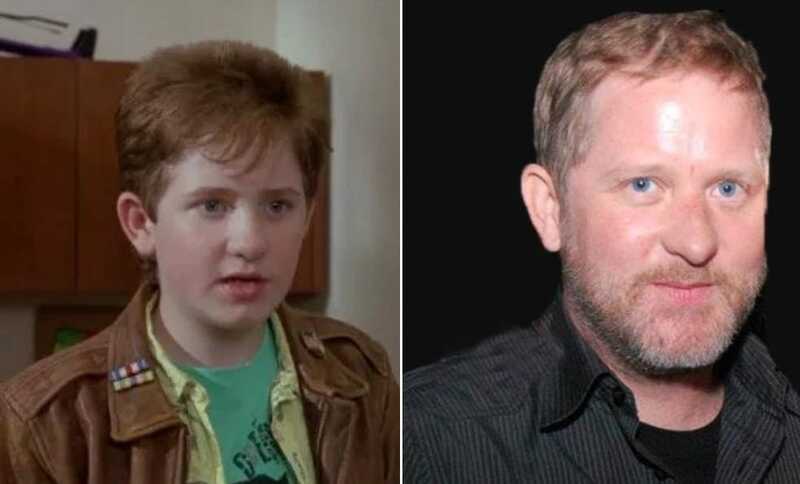 Those who grew up watching movies in the ‘80s and ‘90s will likely remember Heard from both his role in Big, as well as playing the dad in the Home Alone movies. Sadly, in July 2017, Heard passed away at age 71 after suffering a heart attack. He is survived by his two children. “Shimmy shimmy coco pop, shimmy shimmy rock…” Who could forget the fun song that Josh and Billy love to sing together? Well, the idea to include the song came from Tom Hanks himself. When his son had come home from summer camp, not long before the movie was filmed, he wouldn’t stop singing the song. Hanks thought it would be a fun song to include in the movie between the two boys, and he was right. Even now, Hanks can still remember every line of it. 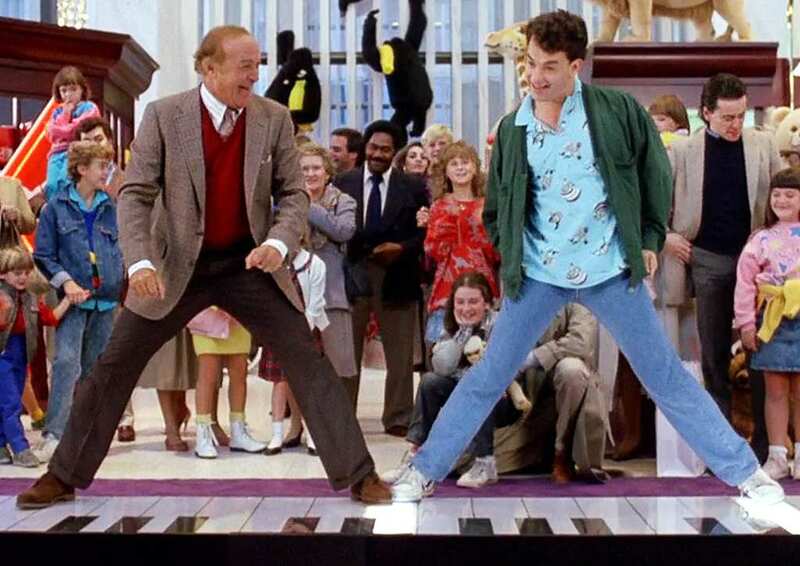 Probably one of the best known scenes of the movie is when McMillan, played by Robert Loggia, and Josh play the giant keyboard in the toy store together. According to Loggia, when the two actors showed up to film that scene, they noticed that there were two doubles dressed exactly like them on set because the director had doubts about the actors’ dance moves. It then became Loggia and Hanks’ goal to get the scene down right, without help from the doubles, and in the end they succeeded. When Josh starts working at MacMillan Toy Company he attracts the attention of Susan Perkins, his co-worker. Susan finds herself drawn to Josh, and is heart broken when she learns that the man she fell in love with was actually a 12 year old boy. This was Elizabeth Perkins’ big break, and she went on to appear in films and shows such as Avalon, The Flintstones, Miracle on 34th Street, Cats and Dogs, Must Love Dogs, and Weeds. She is currently married to Julio Macat and has three stepsons. Big was directed by director Penny Marshall. When she first got the script, nobody was interested in the movie, but she decided to take it on anyway. The chance she took paid off, and with Big’s huge success at the box office, Marshall ended up smashing through a glass ceiling as well. She became the first ever female director to direct a movie that earned more than a 100 million dollars at the box office. This was a huge accomplishment, and proved that female directors could make hit movies as well. One scene that is sure to get everyone laughing is when big Josh Baskin is attending his work party. Upon coming across some baby corn, he decides to try and eat it, but because he doesn’t realize what baby corn is, he attempts to eat it like normal corn on the cob. 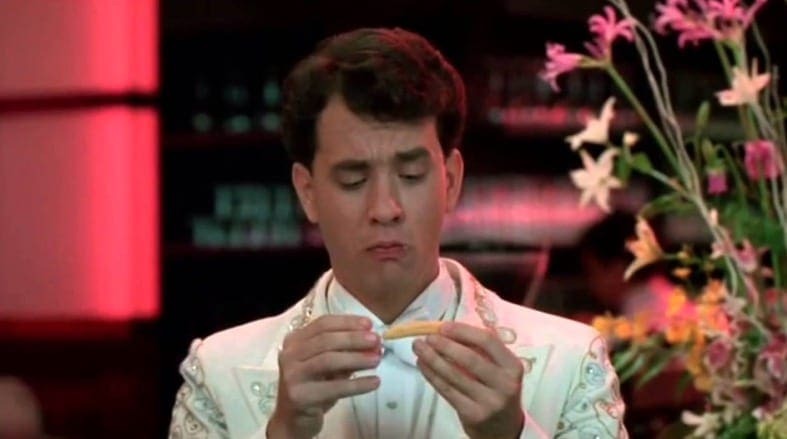 What you might not know is that this scene was entirely improvised by Tom Hanks, who felt like a kid might not be super familiar with baby corn. It may not have been planned, but the choice definitely worked. Every kid needs a best friend, and Josh’s was Billy, played by Jared Rushton. When Josh needs help, the only one he can turn to is Billy, and he manages to convince Billy what happened to him. Rushton had earned quite the reputation as a child star in the ‘80s and ‘90s. Fans will likely remember him from movies such as Overboard, Lady in White, and Honey I Shrunk the Kids. In 2000, he decided to leave the acting world behind and pursue other endeavors, including music, alongside his brother Ryan Rushton. 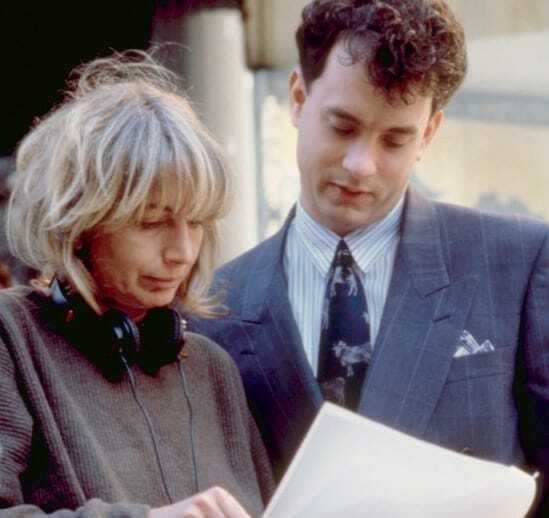 Tom Hanks was not director Penny Marshall’s first choice to play the role of Josh. In fact, she had pushed to hire John Travolta, and he was very interested in the part, and ready to sign on. 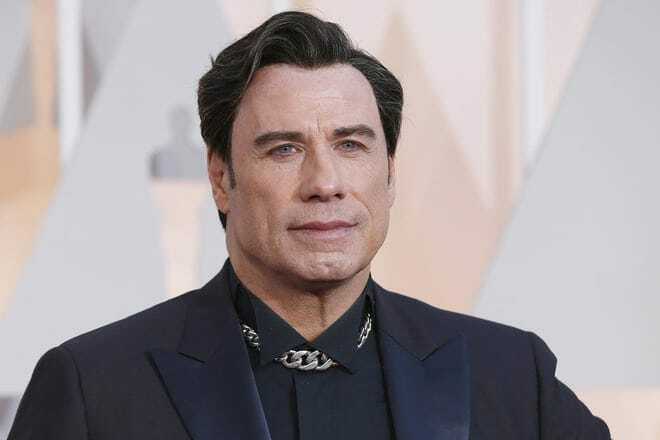 However, the studio refused to hire him because at that time in the ‘80s Travolta was considered to be bad luck, or even “box office poison” to some in the business. But it all worked out because now we can’t imagine anyone but Tom Hanks in the role of Josh. 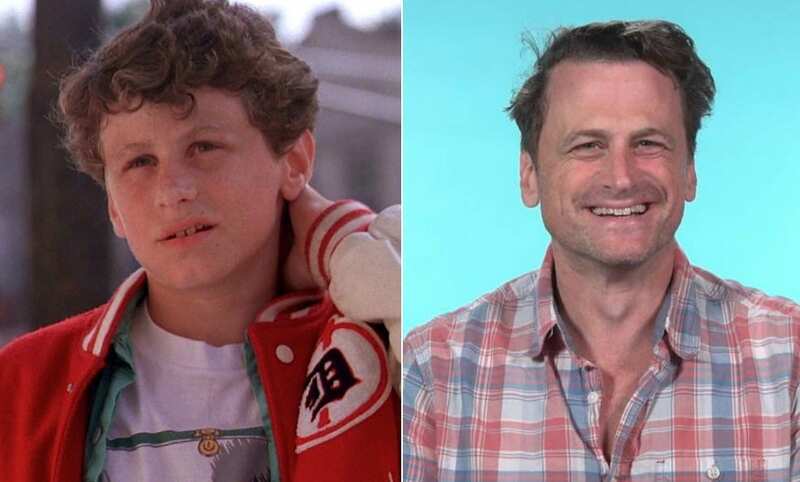 While most of the movie centers around Josh in adult form, we still see him as a kid played by David Moscow. He makes a wish on an arcade fortune teller machine setting the whole story into motion. Big was Moscow’s first big Hollywood movie, and his acting career continued on from there. He worked on shows and films such as Living Dolls, Newsies, Riding in Cars With Boys, Just Married, Honey, Dead Air, and This is Christmas. These days he doesn’t do as much acting and works as a building developer in New York. 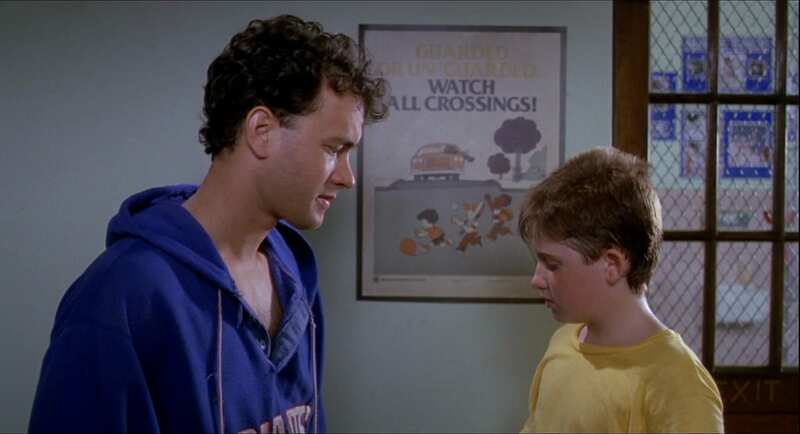 Once everyone was cast in the movie, Tom Hanks wanted to prepare for the role by remembering how to act like a 12 year old boy. To do this he spent time hanging out with David Moscow and his friend to help pick up some of their mannerisms. Moscow recalled that Hanks would have a video camera out ready to capture the interactions and mannerisms of the boys. However, when it came time to do the acting, Moscow noted that Hanks’ seemed to have chosen the mannerisms of Moscow’s friend over Moscow himself. 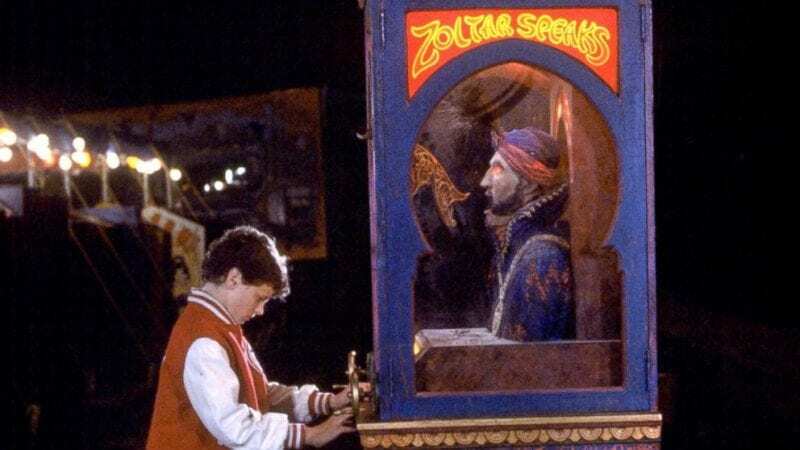 The whole film was set in motion because of a wish made on “Zoltar,” the fortune teller machine Josh comes across after a rough night at an amusement park. 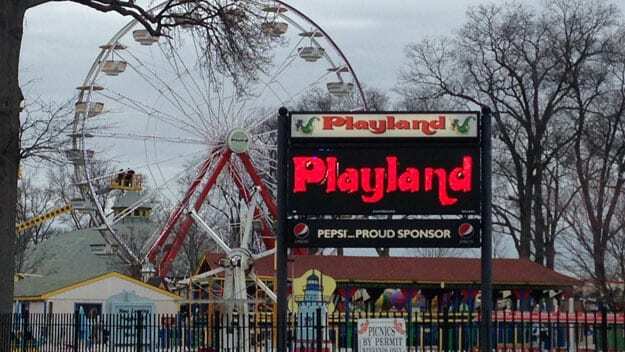 Well, it turns out the amusement is actually a real place called Playland Amusement Park. It’s located in Westchester County, New York, and has been operating since 1929! In 2016, there was a fear that the park was going to be shut down because of lack of funds, but the community was able to rally to save it. For years, rumors have flown that there is a secret alternate ending to Big that was only ever released in New Zealand. People believed there was an ending in which Susan also went to Zoltar and wished to be a kid again so that she could be with Josh. However, these rumors are completely false and no such ending exists. The rumors likely came from a TV movie that came out around the same time, called 14 going on 30, where an ending like that does occur. 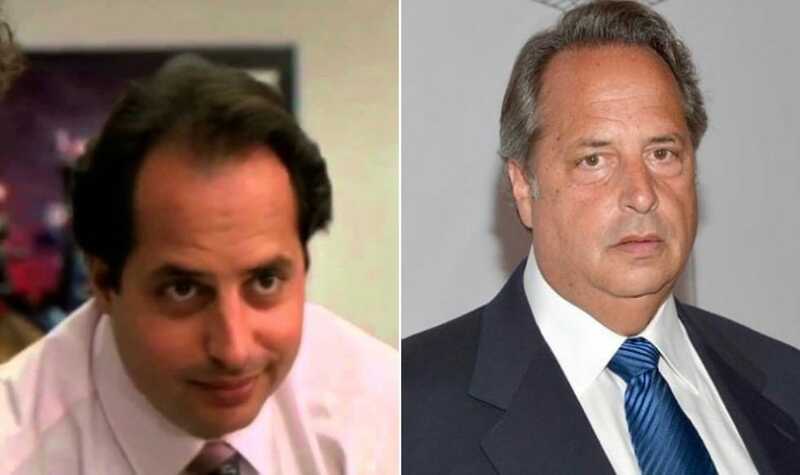 Jon Lovitz was hired to play Josh’s co-worker Scotty, and was all about the office gossip. Lovitz later shared that he loved working with Tom Hanks as an actor, and felt the whole time that Hanks kept making him even better. Lovitz is known best for being a comedy legend, and was part of the cast of Saturday Night Live for many years. He is also known for roles in films such as Coneheads, A League of Their Own, Loaded Weapon I, Happiness, and Little Nicky. Following the huge success of the film, producers decided to see if they could take the story to even higher heights. It was ultimately reworked into a musical, and on April 28, 1996 Big the musical made its big Broadways debut. It ran for around 193 performances on Broadway, and has since been used at theaters and schools all around the country for various performances. It was even nominated for two Tony Awards in 1996, for Best Original Book and Best Original Score. If anyone has ever watched Big and wondered about Billy’s parents, you’re not alone. 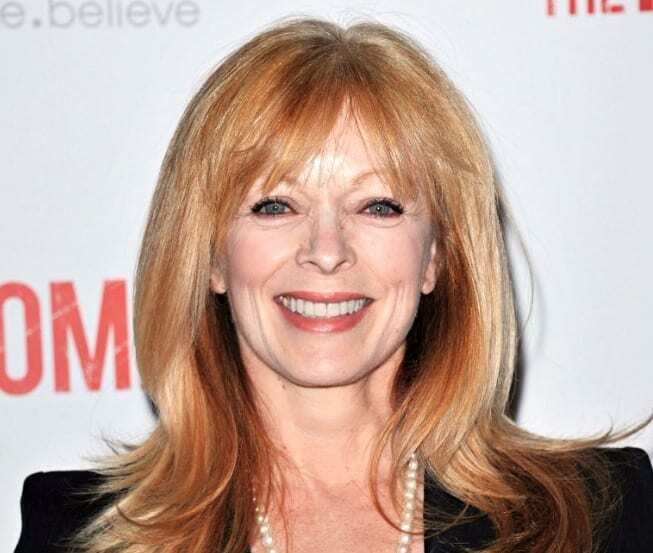 The truth is that actress Frances Fisher was cast in the role of Billy’s mother, and filmed several scenes for the movie. However, all of her scenes were ultimately cut from the movie and never used until they were added to the extended edition DVD years later. Fisher is best known for her roles in Titanic, True Crime, Gone in Sixty Seconds, Laws of Attraction, and The Lincoln Lawyer. 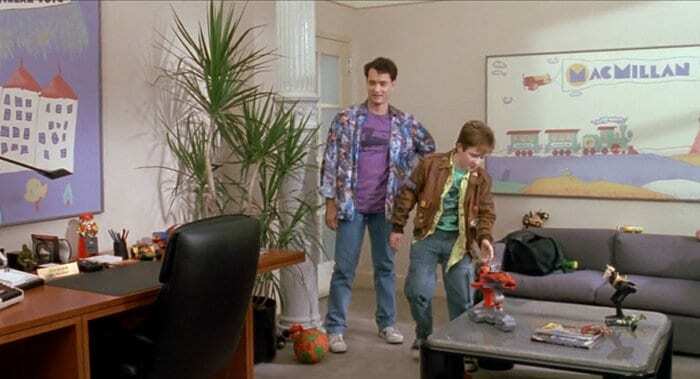 Josh essentially gets hired for dream job at MacMillan Toys Company, and several scenes in the movie revolve around him and his co-workers in the office. But what you might not know is that they didn’t film those scenes on a movie set, instead they used a real office building in New York. The real offices were an advertising agency located in New York City’s Chelsea district, on 23rd Street. The filming caused a major disruption to the employees’ work at the agency, and was challenging on the crew as well. Penny Marshall has become a legendary director, but she’s not the only one with talent in the family. Her daughter, Tracy Reiner, is also an accomplished actress, and Marshall decided to give her a small little role in Big if she had the chance. If you remember a scene with a pretty test market researcher at the office, that would be Tracy making her appearance. And that small role helped lead to other roles in movies like Die Hard, When Harry Met Sally, and A League of Their Own. Tracy Reiner wasn’t the only one from the Big cast to be part of the hit film A League of Their Own. 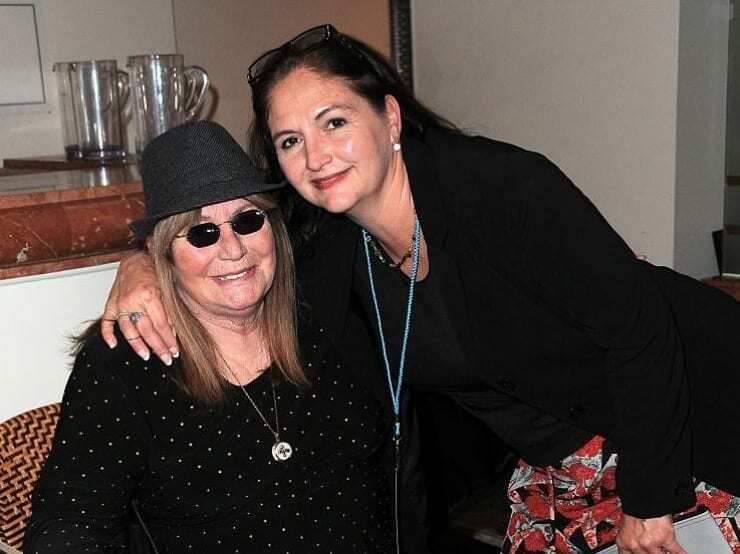 It was once again directed by Tracy’s mother Penny Marshall, and she decided to bring along a few of her favorite people to the film. This, of course, included her daughter as Betty Horn, as well as Tom Hanks as Jimmy Dugan, and Jon Lovitz as Ernie Capadino. Premiering in 1992, it was once again a big hit for all of them. According to Jared Rushton’s mother, Monica, in the early days of production her son was put in a room along with David Moscow and Tom Hanks. The room had a bunch of toys and things to play with, and they soon got hold of some silly string. 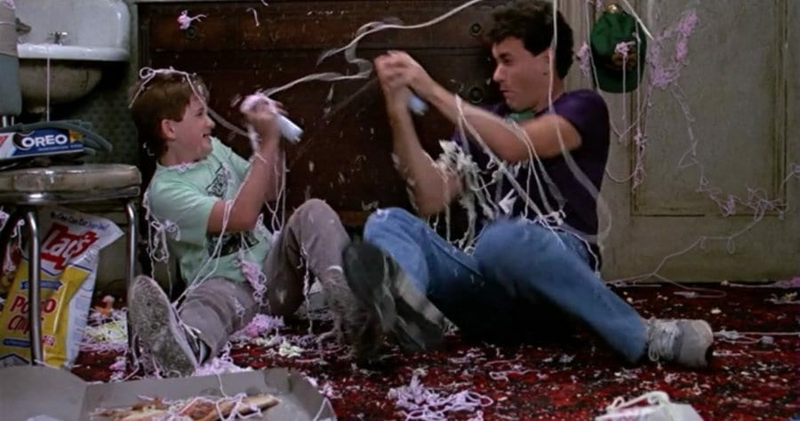 They kept playing around with it trying to gross each other out, which is how the inspiration for the silly string scene between Billy and Josh came about. The arcade fortune teller machine in the movie, called Zoltar, was designed after similar machines that can often be found at fairs and arcades. While it was initially just made as a prop for the film, afterwards the name Zoltar was trademarked, and these days you can find actual Zoltar machines at arcades and homes all around the country. However, unlike the movie, there isn’t a ramp for putting coins in Zoltar’s mouth. And given what happened to Josh, you may want to be careful what you wish for. Critics and fans alike could not get enough of Big when it first premiered, and it even led to it be nominated for Best Original Screenplay at the Academy Awards, in addition to Tom Hanks’ Best Actor nomination. 30 years later, and it still remains well beloved by fans.